From our vantage point in the Milky Way Galaxy, we see NGC 3344 face-on. 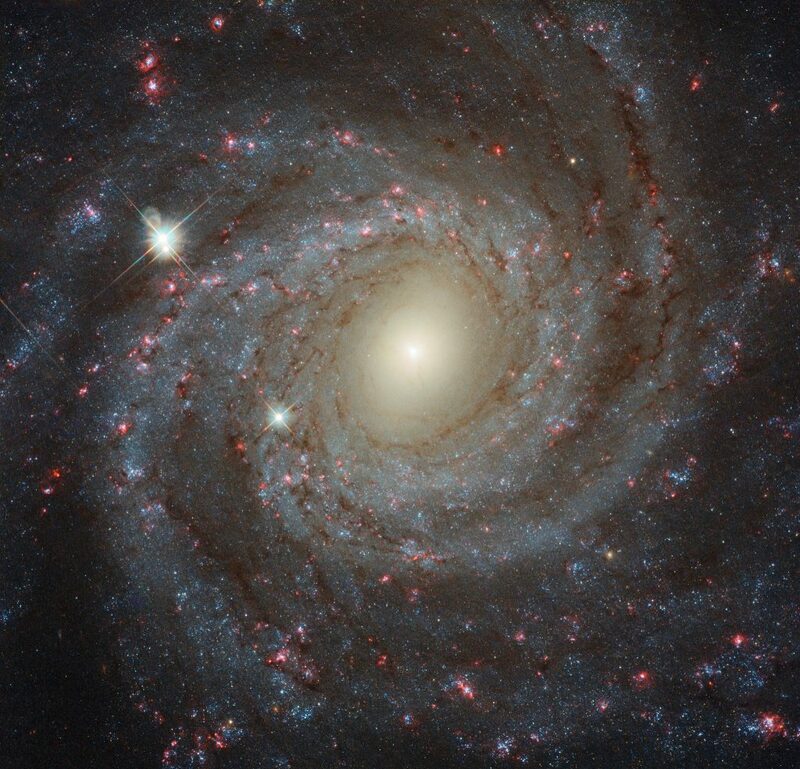 Nearly 40,000 light-years across, the big, beautiful spiral galaxy is located just 20 million light-years away in the constellation of Leo Minor. This multi-color Hubble Space Telescope close-up of NGC 3344 includes remarkable details from near infrared to ultraviolet wavelengths. The frame extends some 15,000 light-years across the spiral’s central regions. From the core outward, the galaxy’s colors change from the yellowish light of old stars in the center to young blue star clusters and reddish star forming regions along the loose, fragmented spiral arms. Of course, the bright stars with a spiky appearance are in front of NGC 3344 and lie well within our own Milky Way.